Download the letter to Ms. Malmström. Download the letter to Mr. Hogan. We understand that the EU-Mercosur negotiations are at a crucial point. 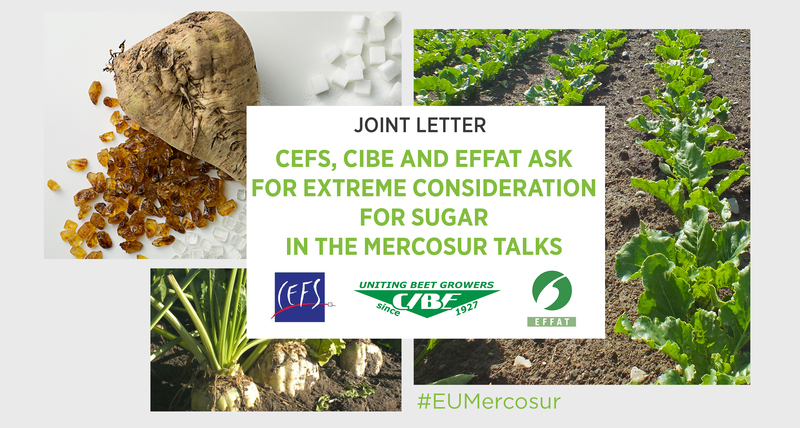 On behalf of European sugar manufacturers (CEFS), European sugar beet growers (CIBE), and sugar sector employees (EFFAT) we call on the EU to resist pressure from Brazil to offer further market access concessions on sugar. The EU sugar sector is currently undergoing a major reform that is having a dramatic impact on the European sugar market. The end of sugar quotas, combined with a depressed world market, have generated prices that are at their lowest level since the establishment of the European Commission Price Reporting System almost twelve years ago. According to the Commission’s most recent medium-term outlook these market conditions could last until 2030; they have already resulted in the closure of one beet sugar factory in Romania in January of this year. The EU sugar market cannot sustain further opening without further damage to prices and to the sector. Brazil already enjoys the single largest access quota of any third country to the EU market, and is the dominant global exporter. Its developed system of government support means that its producers are able to sell their sugar at below cost prices, and the sugar cane sector will receive a massive financial incentive from 2020 with the entry into operation of RenovaBio – its credit-based biofuels promotion programme. Brazilian sugar producers benefit from lower social and environmental standards that are the subject of public criticism, while despite a common drive towards greater sustainability, EU beet growers and producers struggle to conform to ever-more stringent rules and meet ever-growing societal expectations. In this context, which is marked by further uncertainty owing to Brexit, it is no exaggeration to say that market opening to Brazil would be nothing less than catastrophic for the economic sustainability of our sector. This matters. Our sector plays a unique role in the fabric of the EU rural economy. It offers high-quality industrial employment in regions were few alternatives exist. It produces not only sugar, but a range of products, such as animal feed and ethanol, that support the competitiveness of livestock producers and fermentation industries, among others. 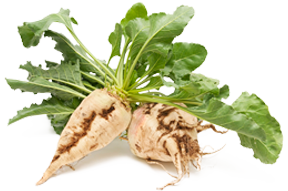 And sugar beet plays an important agronomic role in crop rotation for farmers. Crucially, the capital- and knowledge-intensive nature of sugar production means that once closed down, it is highly unlikely that a factory will re-open its doors. In other words, once sugar leaves a region, it is gone forever. For these reasons we ask for extreme consideration in the ongoing negotiations.